RPC Pipe System’s national sales and marketing distributor in Australia, Iplex Pipelines, has been awarded the contract for the supply of Glass Reinforced Polyester (GRP) pipe to Stage 1 of the Townsville City Council Haughton Pipeline Duplication project. Ensuring future water security for the community of Townsville, the competitive tender process selected the FLOWTITE® GRP pipe for its superior technology and long asset life. “RPC Pipe Systems has successfully produced more than 1,000km of FLOWTITE® piping for major projects throughout Australia and New Zealand since 2007," Tony Caristo, Managing Director of RPC Technologies, said. "GRP pipe is lightweight, has superior corrosion resistance, durability, and hydraulic flow characteristics relative to conventional piping materials. The new pipeline will be 36.5 kilometres and 1.8 metres in diameter and will be supplied over a relatively short period-of-time with construction completed by end of 2019. 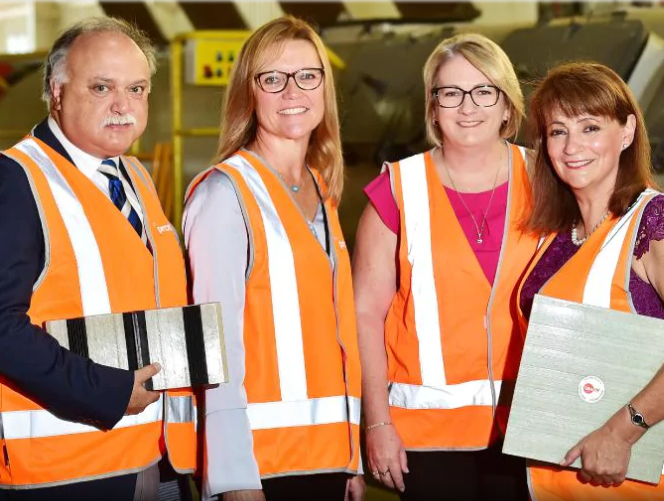 L to R: Tony Caristo, CEO RPC Technologies, Nicole Sumich, General Manager Iplex Pipelines, Jenny Hill, Mayor of Townsville, Coralee O’Rourke, State Government Minister.